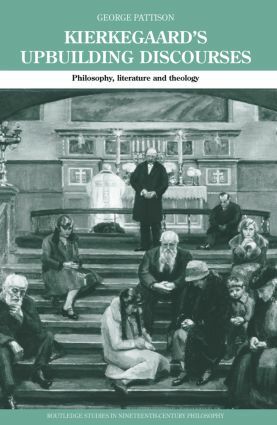 George Pattison provides a bold and innovative reassessment of Kierkegaard's neglected Eighteen Upbuilding Discourses and reading of his work as a whole. The first full length assessment of the discourses in English, this volume will be essential reading for philosophers and theologians, and anyone interested in Kierkegaard and the history of philosophy. George Pattison is Lecturer in the Faculty of Theology in Arhus University. He was previously Parish Priest and Dean of Chapel at King's College Cambridge. He has published and broadcast on theology, philosophy and the visual arts. His books include Kierkegaard: The Aesthetic and the Religion(SCM Press, 1999), The Routledge Philosophy Guidebook to the Later Heidegger (Routledge, 2000) and A Short Course in the Philosophy of Religion (SCM Press, 2001).